Chelsea will look to bounce back from their disappointing defeat against Stoke City as they welcome Crystal Palace to Stamford Bridge in Saturday’s London derby. DATE & TIME: December 14, 2013 at 10:00 EST; December 14, 2013 at 15:00 GMT; December 14, 2013 at 16:00 WAT; December 14, 2013 at 17:00 CAT; December 14, 2013 at 18:00 EAT; December 14, 2013 at 20:30 IST. TV/STREAMING NEWS: The match will be telecast live on Fox Sports 1 on Australia, Supersport 3 Africa in African sub-continent, Sportsnet Ontario/Pacific in Canada, Canal+ Sport in France, Star Sports 4 & Star Sports HD2 in India, Canal+ Futbol HD & Gol Stadium in Spain, Al Jazeera Sport HD1/HD6 in UAE, BBC One in United Kingdom and Premier League Extra Time & NBC Sports Network in USA. Chelsea TV will have live audio of the game. You can also catch the game on TalkSport Radio if you’re in Canada or US or BBC Radio 5 Live if you’re in UK. CHELSEA FC SQUAD NEWS: Chelsea do not have a clean bill of health as Ryan Bertrand(knee) and Gary Cahill(pain in quadriceps) will be absent along side the long-term absentee Marco van Ginkel. Mourinho has also confirmed Cesar Azpilicueta will be back into line-up as Ashley Cole will be rested. Predicted Starting XI: Cech, Ivanovic, Luiz, Terry, Azpilicueta, Ramires, Lampard, Mata, Oscar, Hazard, Eto’o. CRYSTAL PALACE FC SQUAD NEWS: Jerome Thomas (groin), Jack Hunt (ankle), Adlene Guedioura (ribs) and Glenn Murray (knee) are all sidelined and Paddy McCarthy (groin) is not expected to make his long-awaited comeback. Dean Moxey, who hurt his hamstring against Cardiff, will undergo a late fitness test however. 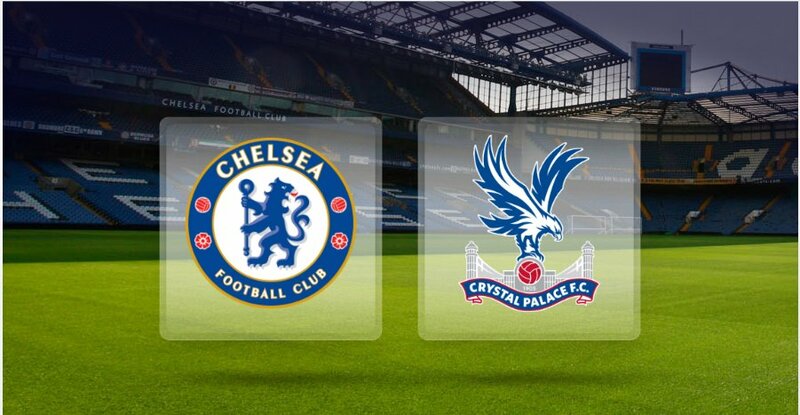 Predicted Starting XI: Speroni, Ward, Gabbidon, Delaney, Moxey, Puncheon, Dikgacoi, Jedinak, Bannan, Chamakh, Jerome. FORM INDEX: Chelsea – LDWWWL l Crystal Palace – LDWLWW. THOUGHTS FROM THE ENEMY: Crystal Palace manager Tony Pulis has admitted the Blues will be favorites in the London derby, hence they will face no pressure at all. Chelsea have scored at least 2 in the last 12 league games at home, Palace have lost every game they have conceded two or more this season. Chelsea are undefeated in the last seven Premier League London derbies, which have brought five wins and two draws. Chelsea have lost just three in the last 75 games against newly promoted teams, in 12 ½ years, having won 59 of those matches. If selected, Eden Hazard will make his 50th Premier League appearance. IN A NUTSHELL: Chelsea have not been performing well domestically off late, but they will look to cap off a perfect week, when the Blues sealed the top spot in UEFA Champions League group stage, with a win against a newly-promoted London rival. This is our best squad for now,cos its a balance team and the likes of Willian,Schurrle and Hazard has the power and strength to track back and win balls. I wonder why Mourinho has not noticed it. Playing Oscar and Mata together does not work at all. We may have all the possesion,but won’t score any goal,cos they are not dangerous nor harmful. But players like Hazard,Willian and Schurrle are extremely dangerous and can punish any team.